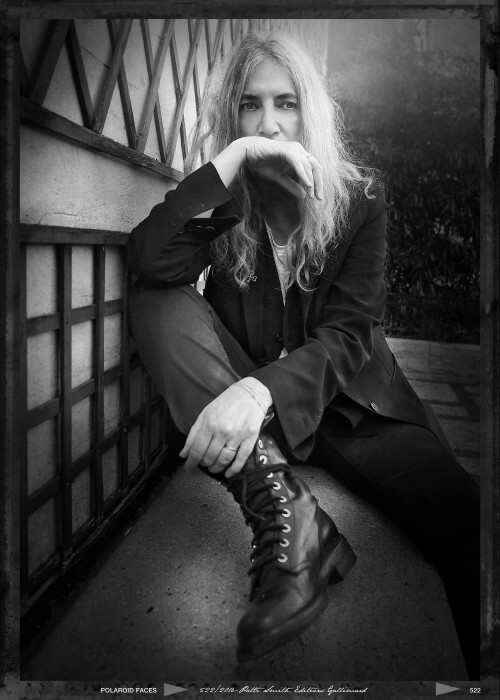 It is with heads bowed in honour and chests filled with joy that Stockholm Music and Arts presents three evenings and three unique concerts with the legendary, the revolutionary, the poet and rock’ n’ roller Patti Smith. In an acoustic format and with her constant companion Tony Shanahan, son Jackson and Seb Rochford, Patti invites you into a whirlwind of spoken word and music. Evenings when slumbering poetry and sleepy rock’ n’ roll are guaranteed to be woken up. In France she is the knight of art, in the USA she can be found in the Rock’ n’ Roll Hall of Fame, was named as one of rock history’s 100 biggest artists by Rolling Stone and received The National Book Award for her autobiography Just Kids. Here in Sweden she was awarded the Polar Music Prize in 2011. Despite all this Patti Smith has never felt part of the establishment. A poet among rock musicians, a rock musician among poets, a regular person among icons and an icon among ordinary folk. Patti Smith really is too many things for just one person. And maybe that’s precisely the reason all of these thoughts and feelings need to be released – on paper, on vinyl or from the stage and straight in to our hearts. From our new intimate stage in Moderna Museets and Ark Des’ garden, the distance between Patti’s words and your hearts will be shorter than it has been in a very long time.